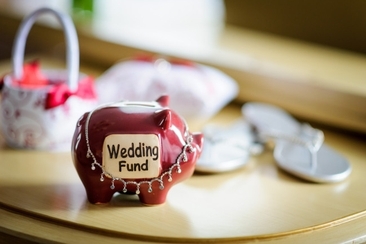 Is it appropriate to give cash as a wedding gift? How much is the right amount to give? Who should we give the cash envelope to? Should you match the amount of cash to the cost of the gift they have given you? How much should be given if attending a destination wedding? Weddings can be a costly event not just for the happy couple, but for the guests as well. Engagement gifts, bridal shower gifts, bachelor/bachelorette parties and not to mention the proper attire for the wedding day; it all starts to add up. Hearing a cash gift is encouraged from the bride and groom can be a welcome because it takes out the additional time of having to shop for the right gift, but what is the appropriate amount for cash gift? This article will answer just that! Many people choose to give cash as a wedding gift and this is absolutely acceptable, even more, when the couple encourages it. Cash gifts do not require having to go to the store to purchase, you do not have to worry about finding the right color or having it perfectly wrapped. The newlyweds do not have to worry about returning it and can use it to cover a number of expenses or purchases for their new home. It is not only a practical gift, but a highly useful gift that will better help the couple start their new life together. What is your relationship with the couple? If you are a close friend or relative, then the cash amount tends to be a greater amount, coworkers, neighbors and acquaintances tend to give smaller amounts. Consider these tips for deciding what amount to give. $75-$100 if you are a distant family member or coworker. $100-$125 if you are a relative or friend of either the bride or groom. $150 or more if you are a close friend or close relative of the bride or groom. How much can you afford? 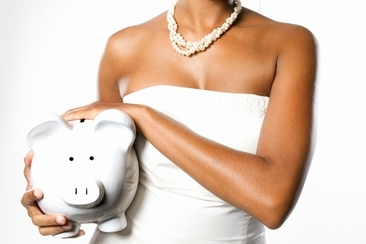 When giving cash as wedding gifts, you want to consider your own financial situation. Never feel obligated to give more as a gift than you can comfortably afford to give. Where do you live? Those who live in larger metropolitan areas will tend to give a greater amount as their cash gift since the cost of living is significantly more than that in suburban areas. Have you given other gifts? If you have already purchased an engagement gift and a gift for the bridal shower, then the amount you give may not be that much. If you are, however, combining them all into one gift, then the amount should be more. Other wedding expenses? Guest who are traveling from out of town and those who are a part of the bridal party tend to give less cash since they are covering a number of other expenses to either attend or be a part of the wedding. 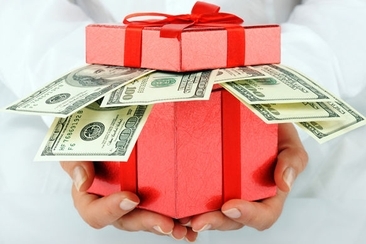 Are you pulling a cash gift? If you are planning on contributing to a cash gift, say from all the co-workers or as a couple, the amount of cash you give should be larger to reflect the number of people contributing. Cash gifts should not be given directly to the bride or groom since they will most likely be having a number of other things going on, it is more likely they will misplace it. Instead, when giving cash as wedding gifts, the envelopes should be handed to one of the couple's parents or a close family member. They will most often already be holding onto everything for the couple or know who to hand the envelopes off to. Mailing a check to the couple is absolutely acceptable and it really just depends on your comfort level. If you would much rather not have to worry about it then you can mail the check out to the bride or groom prior to the wedding. If you are giving them a check on or sending it after the wedding day, then you will want to make the check out to both the bride and groom using their new married name if one of them are taking the other's last name. You should never compare the amount you give to the price they spent. Many factors can contribute to how much someone is able to spend on a gift and what can be affordable to you may not have been affordable to them at the given moment. Destination weddings are becoming more common since they give the couple a cheaper option for getting married, but this does not make it any cheaper for the guests. Because of the additional travel expenses, it is understandable that when giving cash as wedding gifts, the amount can be less than anticipated. Stay within your means, the efforts you are taking to be at the wedding are contributions enough. Wish everyone a lifetime of love and happiness. Wondering the polite way of asking for money gift for your wedding? Here 6 best ways. There are also some reputable money registries for you to check out. Are you a confused and indecisive bridesmaid looking for the best gifts from the bridesmaids to the bride? Here is a list of 20 best gift ideas that you can really try. Is your brother going to marry and you are thinking: how much should I give my brother for his wedding? 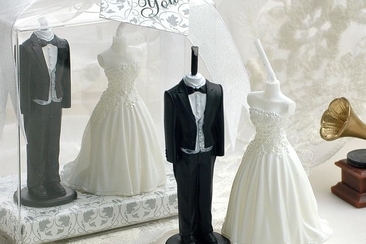 Here is a comprehensive guide on wedding cash gift etiquette, read on! 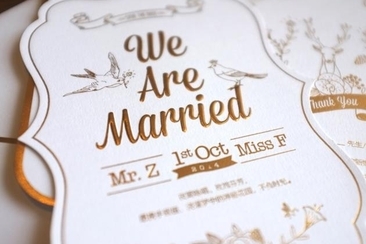 Wonder how to say no gifts on a wedding invitation? Well, simply let them know their presence is the best you want. However, avoid say "no gifts, please" on it. 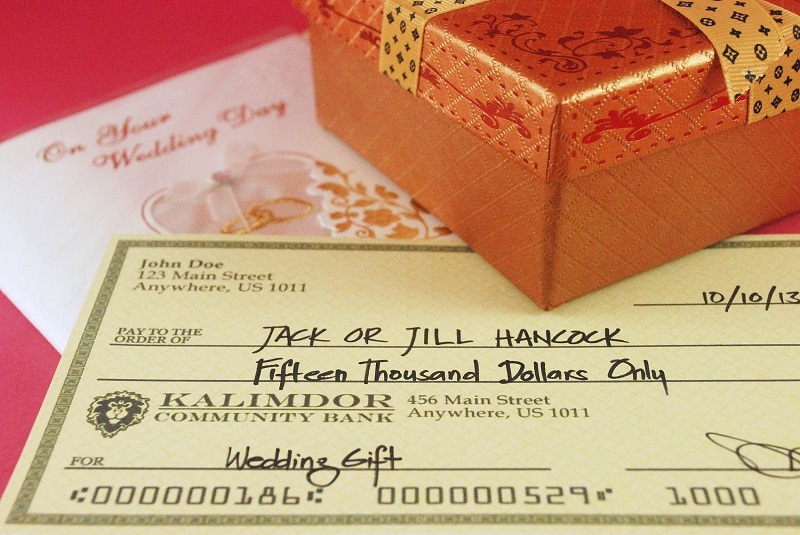 How to write a cheque for a wedding gift so they can actually use it? 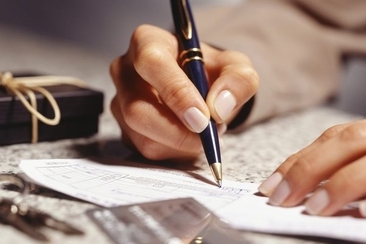 You need to pay special attention to the addressing since it will affect how to cash it after the couple received it. How to ask for money for wedding? Use your wedding website, honeyfund registry, and family members and friends wisely. But never ask for money in your invitation.